After the dramatic trip down the mountain and then arriving at our campsite just before dark, it was lovely to wake up to sunshine the next morning on a grassy hillside. Even better was the parade of horses and yaks that came right by where I was sitting as I was having morning coffee. Lazy animal watching and reference shooting again. 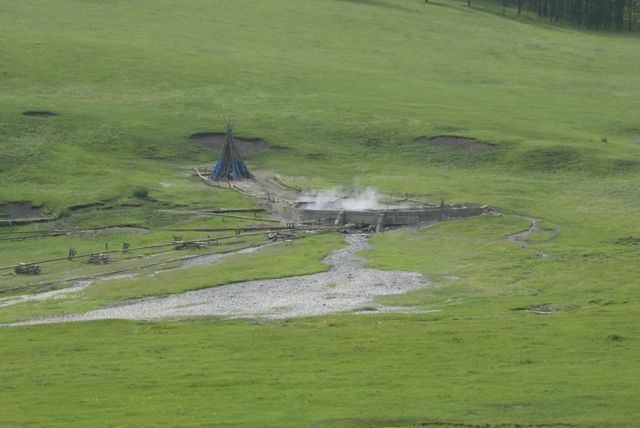 I found out over breakfast that we were camped near Tsenkher, another mineral spring resort. We drove to one of the ger camps, where the manager treated us to tea and snacks, arranged for us to take showers and for me to do a last small round of laundry. We then drove north out of the mountains to the large town of Tsetserleg, where we visited a hillside temple in front of which was a very tall, new statue of the Buddha. I had been wanting a new del, so we searched around the container market, but didn’t find one that was what I was looking for. Getting to poke around a town a little was fun, though. 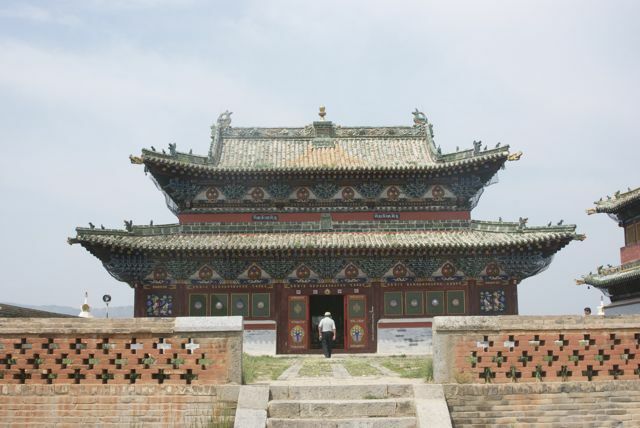 I thought our next stop was the famous monastery of Erdene Zuu, but Soyoloo’s cell phone rang and, the next thing I knew, we were back at her sister’s home. 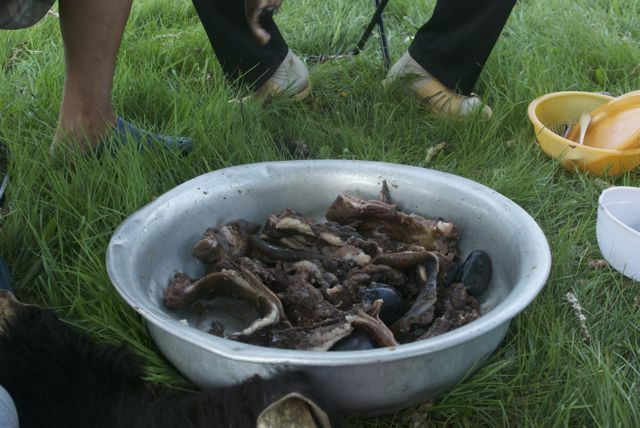 We were invited to join them and share a meal that is dear to the hearts of many, many Mongols….bodog or marmot BBQ. We arrived just as they were ready to begin stuffing the carcass with hot rocks and meat. Once the marmot was ready, we all piled into cars and went to a lovely spot on a nearby river for a picnic dinner. The entire process was a pretty involved affair and I took around 150 images. I’m just going to show a couple here and do a separate post later on, which the status of marmots in Mongol culture certainly justifies. I was honored with the liquid that was poured out of the body cavity, which I drank and found quite good, then the tongue, which I ate and found quite good, and the first cut of meat, which I ate and….found quite good. We all washed down the feast with vodka (all together now), which was quite good. It was late afternoon by the time we said our good-byes and were on our way. 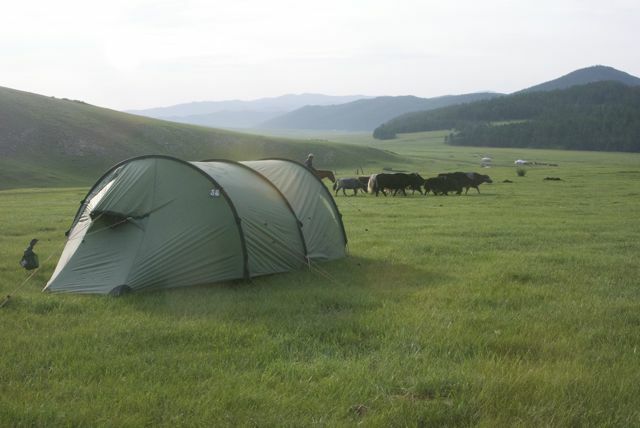 We camped on a hillside along the road to Erdene Zuu. It was warm and humid. 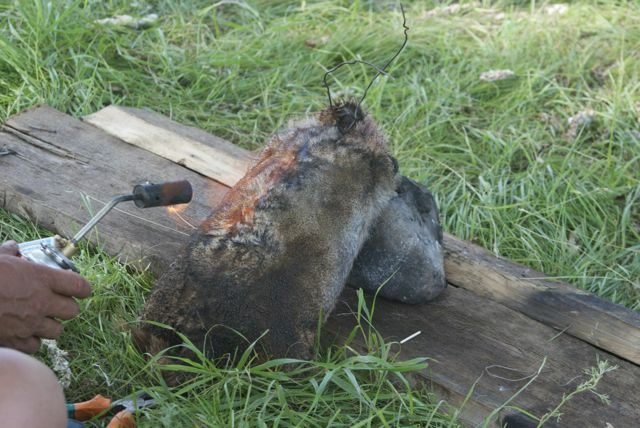 There were lots of mosquitos, so we lit a dung fire again. 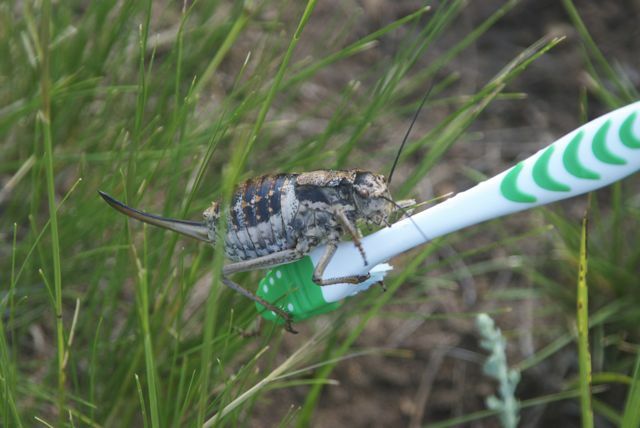 I use earplugs, so I slept ok, but Khatnaa and Soyoloo were kept awake by loud and numerous grasshoppers. Our first stop after breaking camp were the ruins of an old Uigher city, Har Balgas. 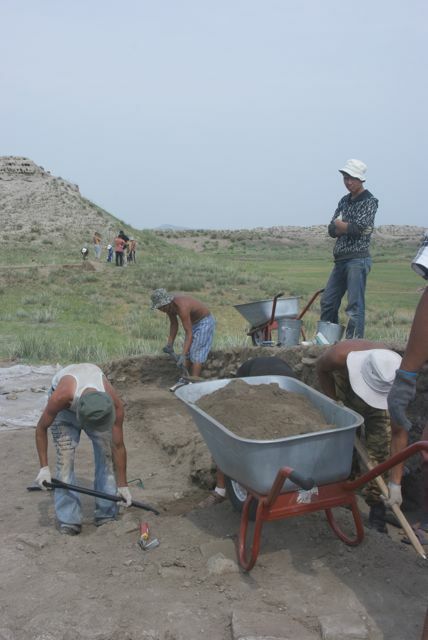 As it happened, there was an archaeological dig going on, which was interesting to watch and I got to chat with the archaeologist in charge. 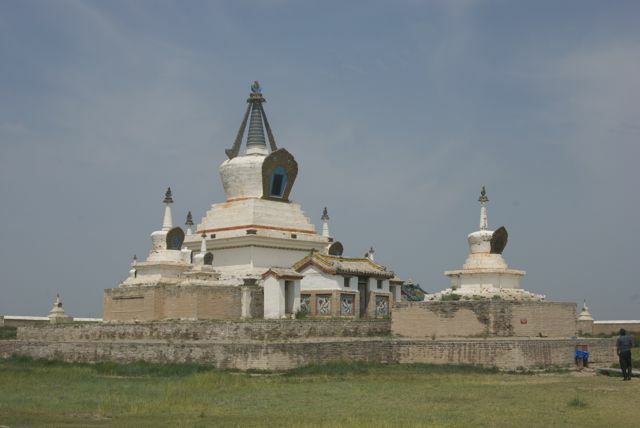 Not too much farther on, the stupa-lined walls of Erdene Zuu Monastery came into view. 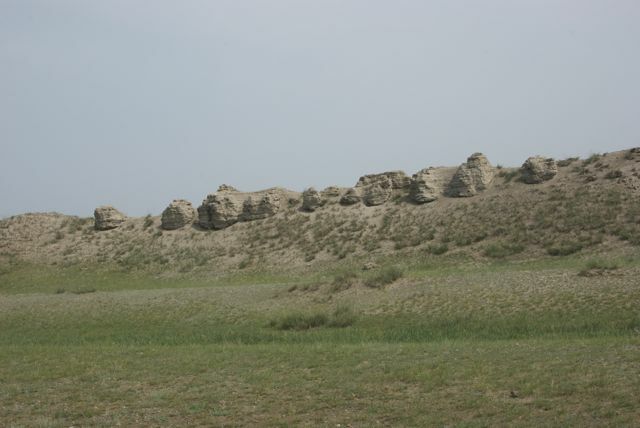 Not only is it adjacent to the site of the ancient Mongol capital, Kharkhorin, but it was built using stones from the old city, which was destroyed by a Ming Chinese army after the fall of the Yuan Dynasty, which had been founded over one hundred years earlier by Chinggis Khan’s grandson, Kublai Khan. 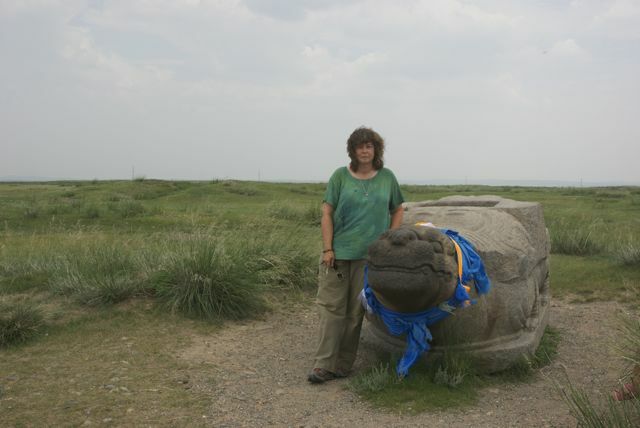 A stone turtle is the only artifact left where the city had stood. I had gotten careless and went into the complex with no hat, sunscreen or water, so by the time this photo was taken, I wasn’t feeling very well. It was extremely humid and hot. I was ok once we were back at the car and I drank a lot of water, but this was probably the closest I’ve ever come to heat exhaustion or worse. Very foolish. 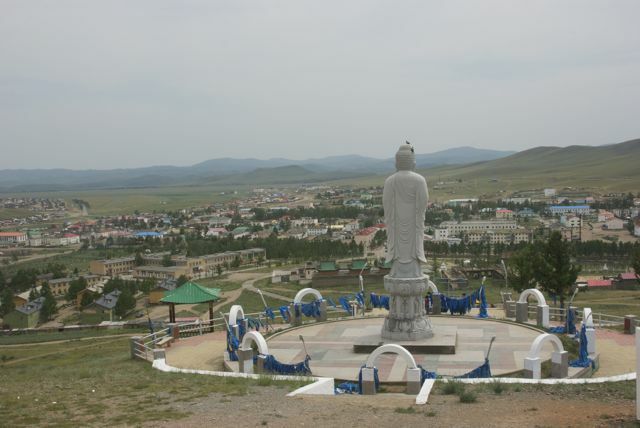 But Erdene Zuu lived up to its reputation as the top tourist site in Mongolia. The temples are magnificent and I was sorry that no photography was allowed inside them. Our route now took us north, where, for our last night out, we were going to camp at a lake known for its birds. 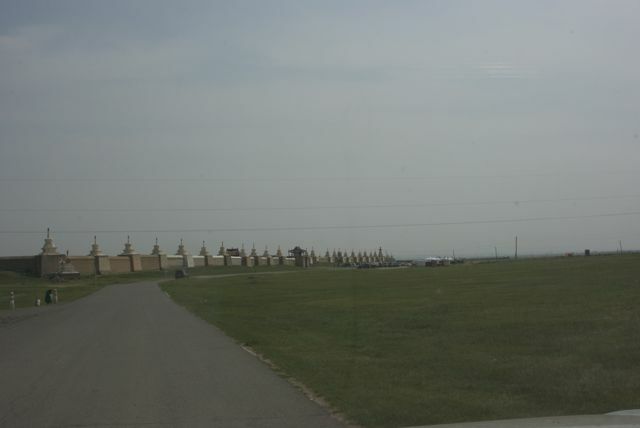 As we were driving along, I noticed a large ger encampment to the left. I almost said something to Khatnaa, but let it go. Then he had to slow down because a bunch of men and boys on horses were crossing the road. I told him about the gers. We followed the horsemen. 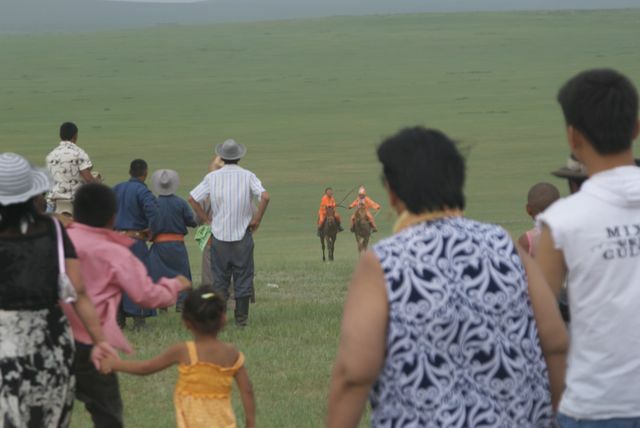 The one thing that I had hoped for on the trip, but had not been able to find, was a local Naadam. 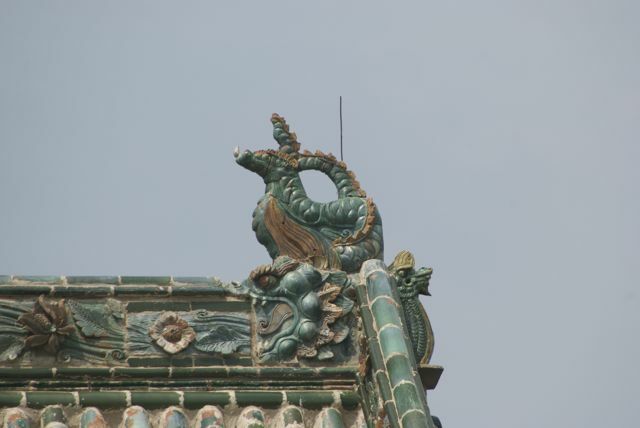 Now it appeared that we had stumbled onto one the last day of the trip. We pulled up into an area on a rise where a lot of cars and trucks were parked. There were horses all over the place. Khatnaa got out, spoke with someone and came back with the news that the event was essentially a family reunion. Stay or go? We’d inadvertently crashed a private party. I told Khatnaa that it was up to him to do what he thought best. We stayed. And tried to be as inconspicuous as possible. Over the next few hours I sat in the car and took around 500 photos. 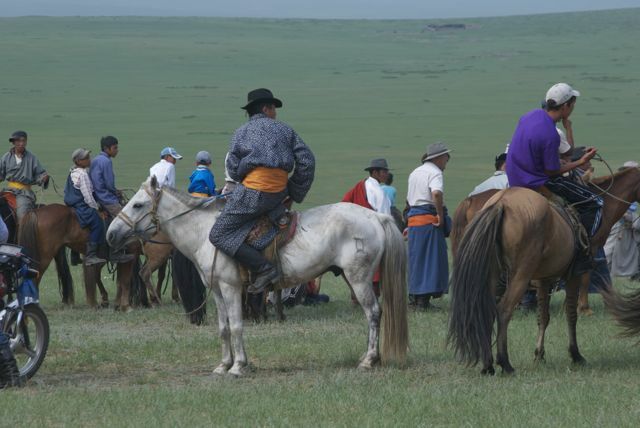 Our arrival had coincided with the horse race and we had gotten there in time to watch all the preparations for it. Our “cover” was blown when a young couple on a motorbike drove up and offered us fresh, hot khuushuur (fried mutton turnovers). No way we were going to pass on that. I stayed in the car until the first horses were approaching the finish line and then got out and joined the crowd. Afterwards, I was photographing a lovely black race horse who was being scraped down. A woman came up to me, took my arm, led me over to the horse and made a gesture for me to lay my palm on the sweat, which is lucky and auspicious. It was a very kind and thoughtful thing for her to do since I obviously was not one of this very big family. I was never so glad that I knew how to say “thank you” in Mongolian. All day it had been cloudy and humid, with some squalls of rain. 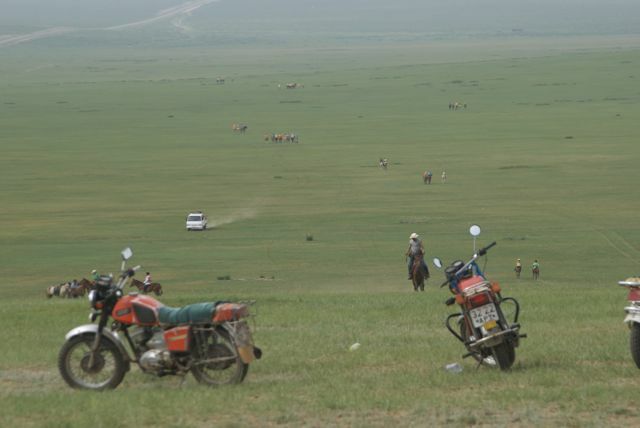 By the time we were on the road down to Ogii Nuur, it had gotten really windy. Khatnaa and Soyoloo managed to wrap a tarp around a picnic structure to provide shelter from the wind to cook our dinner. At dusk, it died down enough to set up camp on the lakeshore. We were all pretty tired. The weather was much better the next morning and we got in some good birdwatching. Khatnaa had gone up to one of the ger camps along the lake the previous evening and made arrangements for Soyoloo to use their kitchen to prepare our breakfast, which was very kind of them. 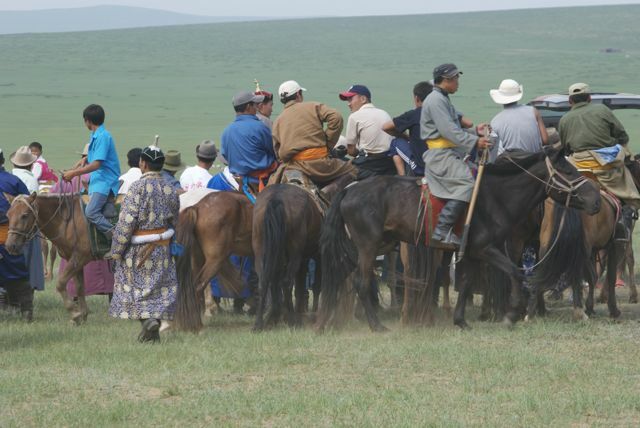 The owner of the camp was there and turned out to be a retired Mongol army officer, who still needed something to do, so he had started a couple of ger camps. We had a nice chat with him and his wife and then left for the final leg of the trip. Soon we were on tarmac, leaving the earth roads I love behind. There were a few more sights to see, like a dune complex where local herders were offering camel rides and our lunch spot next to the road where I got one last round of good horse and herder photos. By mid-afternoon we were in Ulaanbaatar, pulling into the hotel parking lot. I had left UB on July 10. It was now July 25. I still had trips to Hustai National Park to see the takhi and to Ikh Nartiin Chuluu and, as much as I looked forward to going to both places, I was sorry to have my camping trip come to an end. It was one of the best experiences of my life. 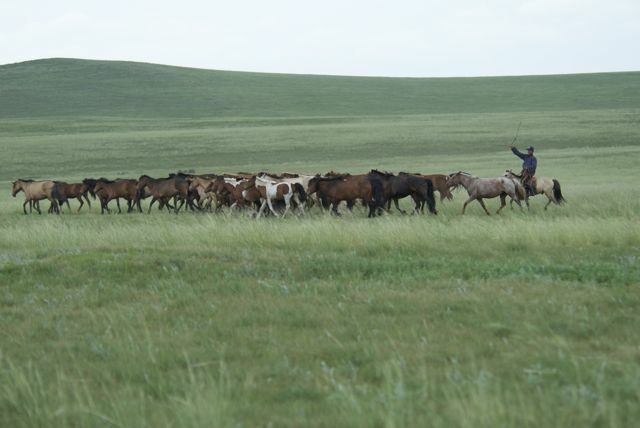 My goal was to simply go into the countryside without a set itinerary and let Mongolia come to me. It did, in ways I would literally never have dreamed of. Bayarlala! Wow is all I can write.